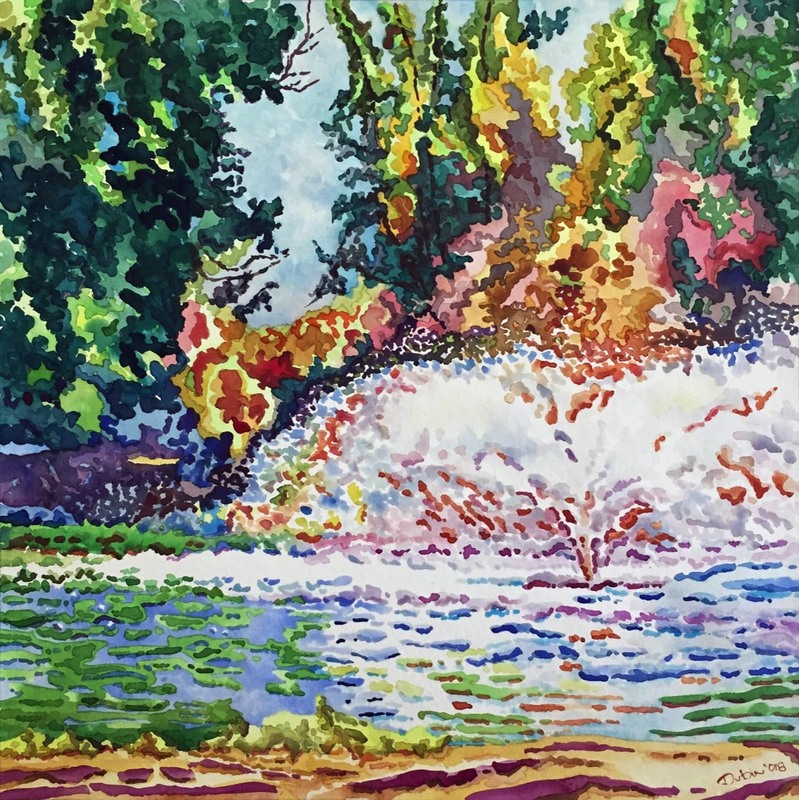 William Dubin's watercolor paintings explore a unique vision of the contemporary landscape. Mr. Dubin uses his immediate environs as a point of departure for excursions into form, color and almost hallucinatory rhythm, without ever completely abandoning the real life subject, the landscape, from which the paintings are derived. The paintings have affinities for past painters, including Maurice Prendergast, Charles Burchfield, Georges Seurat and Monet, although those painters are never directly quoted in the work. Rather Dubin's watercolors have evolved out of the aesthetic space that those painters carved out for themselves. William Dubin's Interest in the watercolor medium dates back to early teenage explorations in Los Angeles. At the time California was a hotbed of experimentation in the medium, primarily from the group of painters commonly referred to as the "California Scene" painters. Alhough throughout his artistic career he has been primarily known as a sculptor, he has also worked consistently in watercolor through those years and to the present. During the late 1960s and early 1970s, William Dubin began a series of kinetic metal sculptures that were loosely based on 19th century model steam engines. His approach was derived in part from a deep interest in the Surrealist artists and poets, as well as an emerging interest in the art of the 19th century. The sculptures differ from the straightforward machine aesthetic of traditional model steam engines, and introduce anthropomorphic, even sexual, metaphors that are reflected in their feminine nomenclature. This line of work was abandoned for a period of years, due to changes in Mr. Dubin's life circumstances. The work was not picked up again until the late 1980s. From that point on, a second series of 'Mechanamorphic' pieces were done and exhibited. 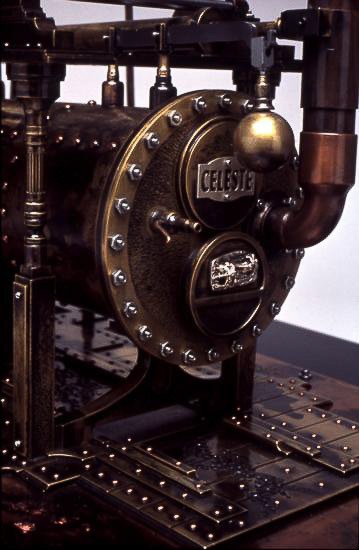 The earlier works are now considered by historians to be seminal examples of the "Steam Punk" aesthetic. Both series, those from the 1960-70 period, and those from the 1990-2000s, present a rare and unique body of work. 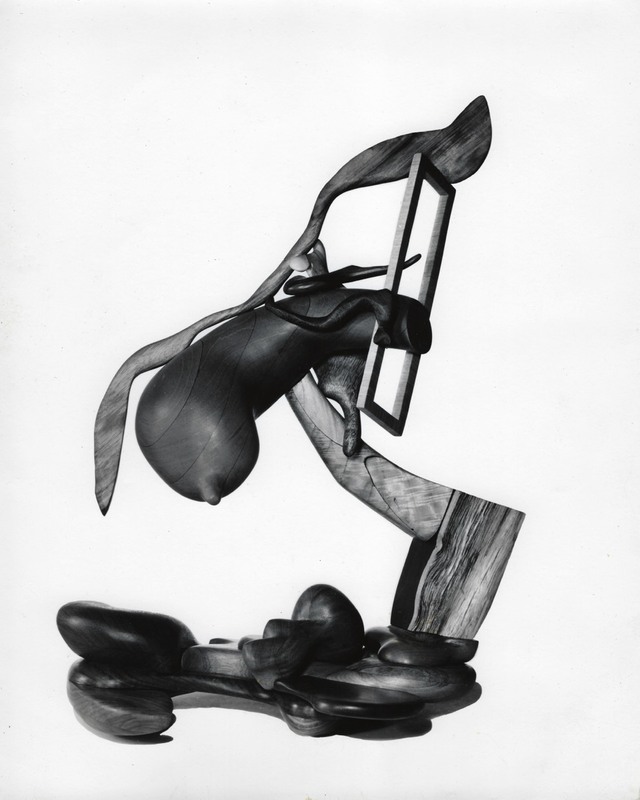 In the 1960s William Dubin exhibited a series of "Biomorphic" sculptures at the influential Dilexi Gallery, in San Francisco, and at other venues. These free-standing sculptures were hand carved from exotic hardwoods, and were derived from the Surrealist biomorphic tradition, exemplified by artists such as Roberto Matta and Yves Tanguy. The sculptures explored formal tensions and spatial disruptions in ways calculated to discomfort the casual viewer. They appeared to mimic organic gestation and growth in grotesque ways, contributing to the experience of unease. It is not known if any of these works have survived. Many were damaged or destroyed in transit, or have become lost in the dense mists of time. They survive in these few photographs and catalogue covers from the period when they were exhibited and celebrated.